Something magical happens to broccoli in the oven: the woody stems become tender, the tops crisp up, and the sometimes bitter vegetable takes on a smoky flavor. Even picky eaters will enjoy broccoli this way—especially when it's tossed with grated parmesan cheese, garlic, and lemon zest. 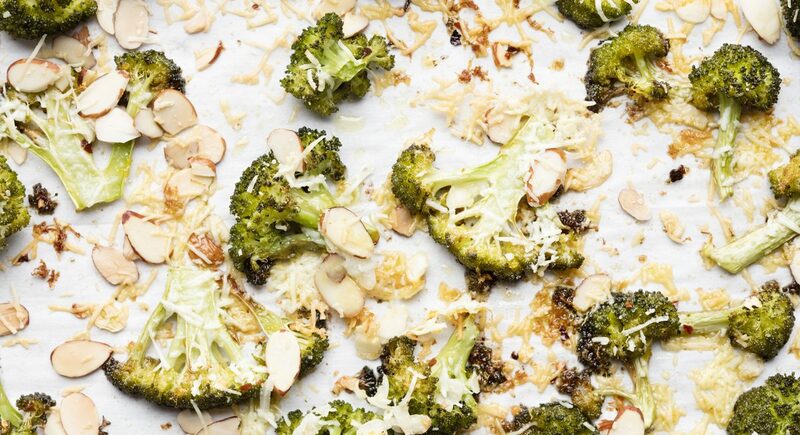 Toss broccoli with olive oil, garlic, red pepper flakes, and salt on a baking sheet, and roast in oven 12 minutes. Remove from oven and sprinkle with almonds, lemon zest, and parmesan cheese. Return to oven to roast 8 minutes more, or until the cheese is melted and bubbling. Serve hot.